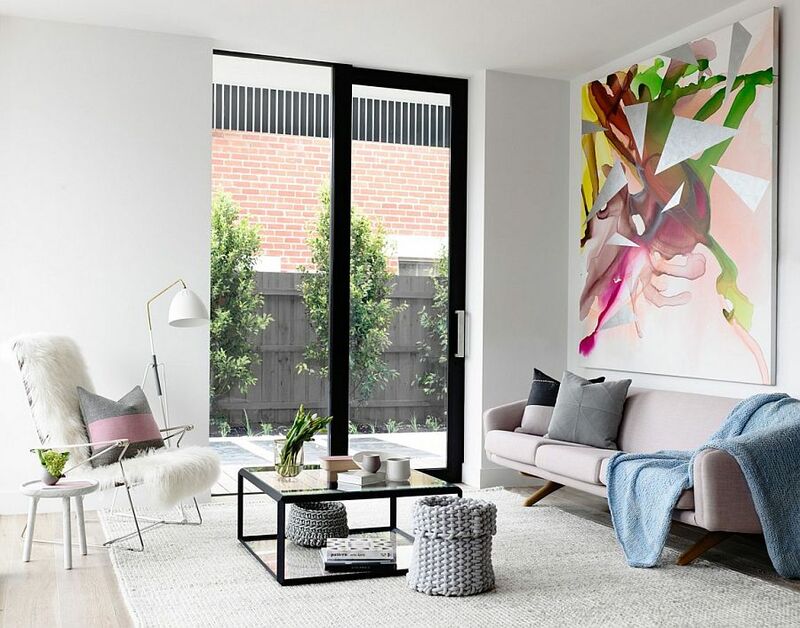 We absolutely love those homes that manage to find the perfect effortless balance between relaxed elegance and cheerful ambiance. 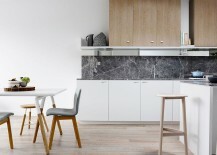 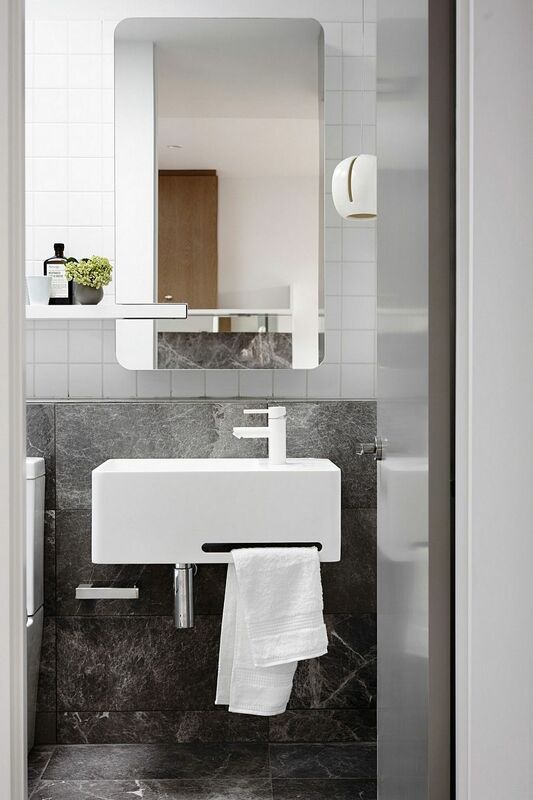 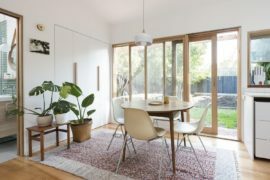 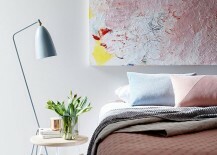 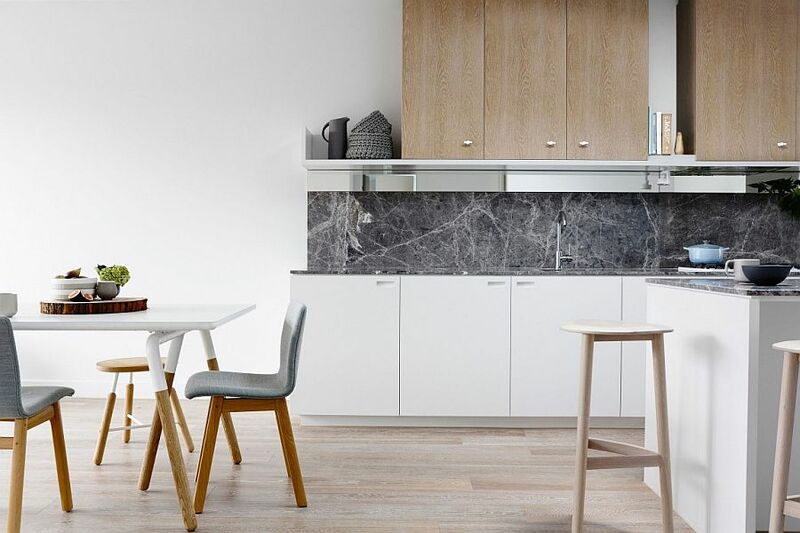 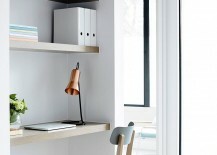 Located in an urbane neighborhood of Melbourne, the Crisp Street Apartment does precisely this, all the while using lovely pastel hues and copper accents to give the interior a unique, refined appeal of its own. 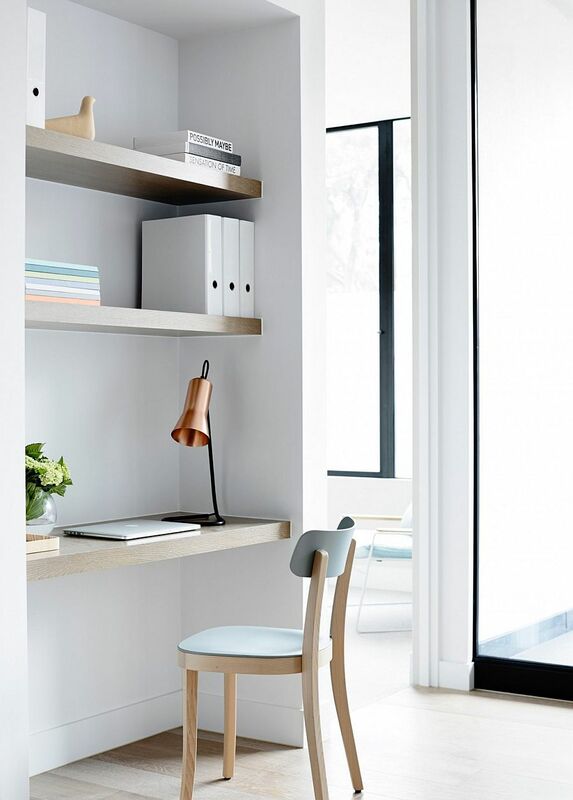 Resisting the temptation of adding bright and brilliant pops of color, the creative folks from Mim Design showcased an out-of-the box approach to decorating a home with a minimal, white backdrop. 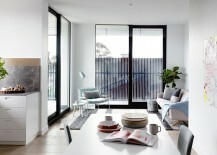 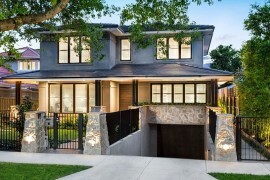 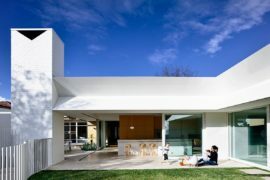 But then, we are not strangers to the ingenious style of the South Yarra-based firm! 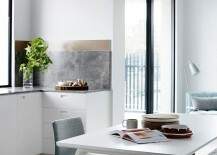 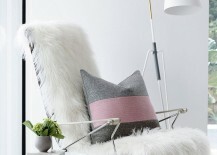 The color palette of the smart apartment and an amazing use of texture draw your attention instantly. 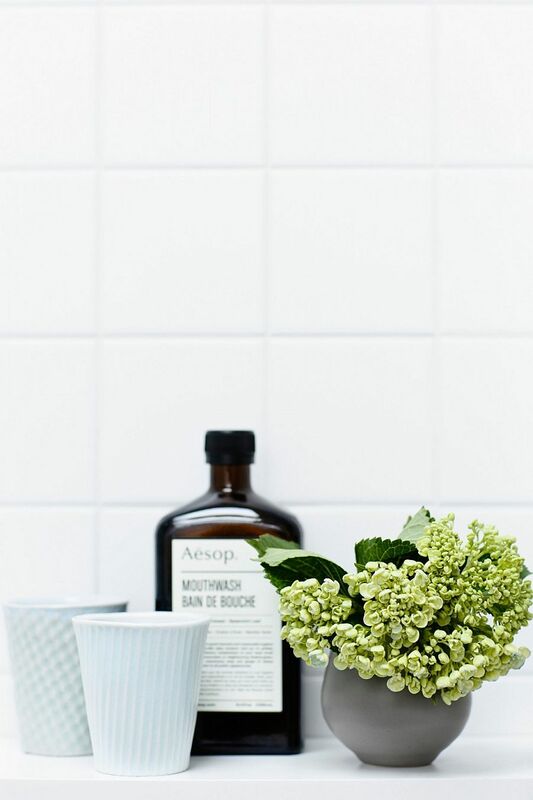 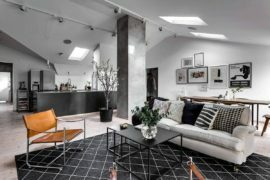 Bluish-gray and white make up much of the backdrop that seems to draw inspiration from both modern and Scandinavian minimalism. 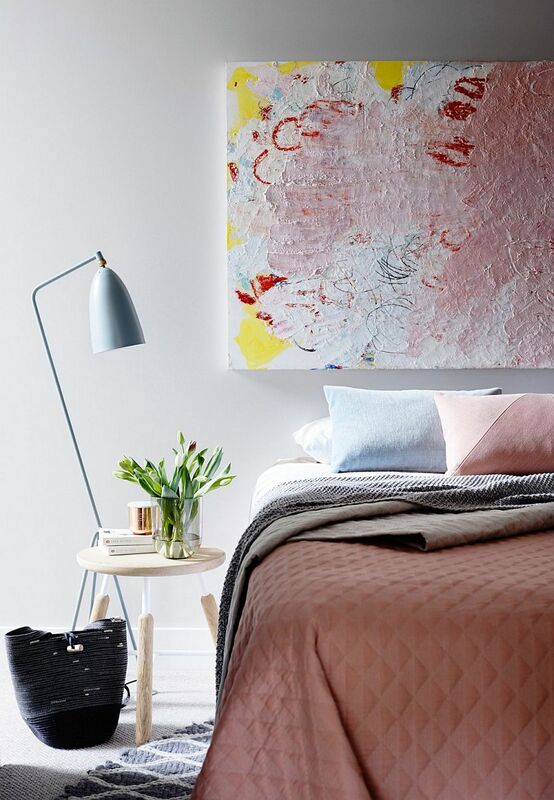 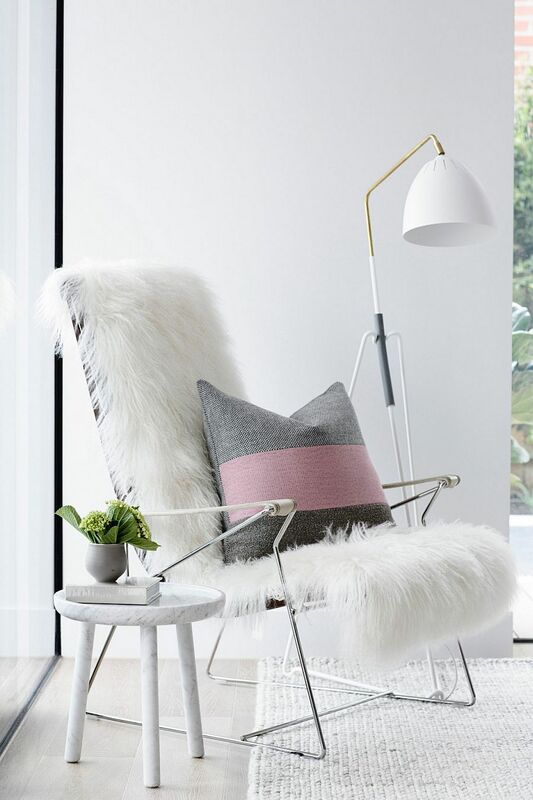 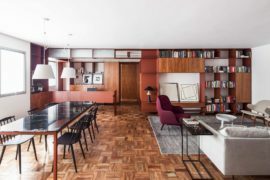 Sumptuous pink pastels and soothing corals add a touch of femininity to the interior even as plush surfaces and unassuming decor evoke the aura of midcentury modern design. 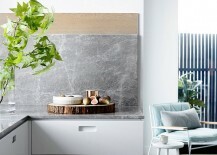 This amazing yet organic fusion of styles creates an entirely new and innovative theme that relies more on subtlety and sophistication. 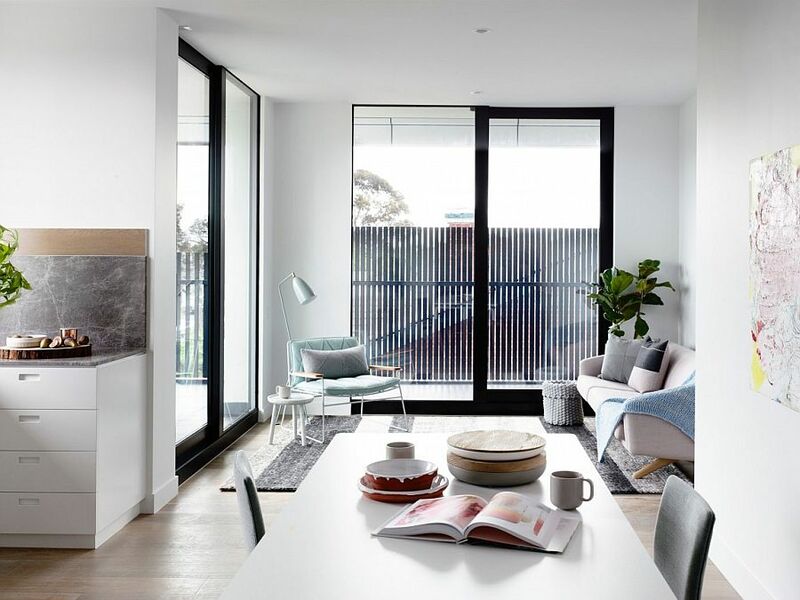 Ample natural ventilation and the use of simple yet visually effective sliding glass doors with black frames adds to the appeal of the open plan living area. 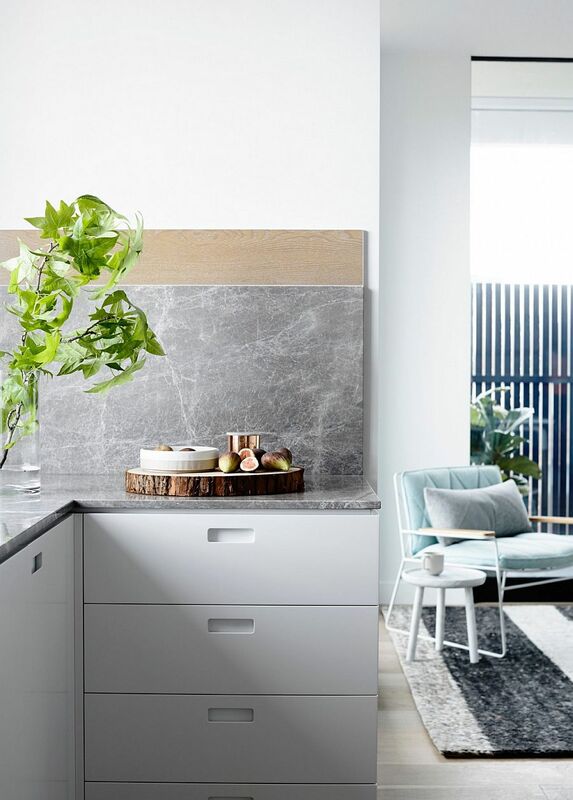 A contemporary kitchen in white with a gray backsplash, a comfy bedroom where bedding and artwork bring color to the space and beautiful bathrooms complete the smart apartment. 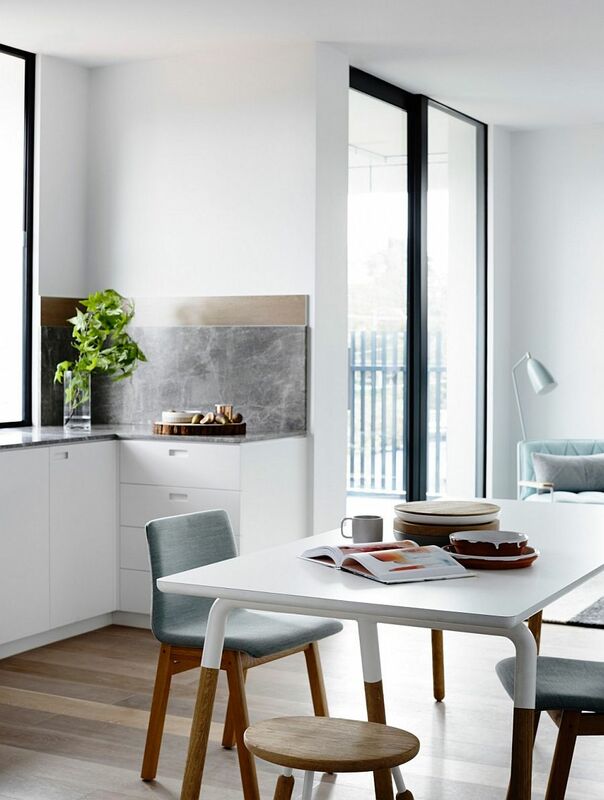 Acting as a relaxing hub that lets you escape the constant rush of Melbourne, the apartment has a timeless and joyful appeal.